John’s Plumbing & Pumps, Inc offers fast, efficient plumbing service you can trust. We’ve been providing plumbing services to the residents of Lacey and beyond for over 60 years. We offer the best products by experienced, knowledgeable plumbers. No matter what type of plumbing service you need, we provide the solution. We also offer competitive rates and guarantees on our parts and labor. 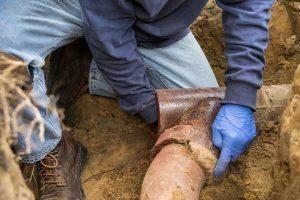 Since pipes and drains are largely located behind walls and underground, it’s easy to forget about them. Especially when they’re doing their job. But when something goes wrong, it often goes very wrong. And having a reliable plumbing service nearby is critical. Our team has worked in the industry for decades, but that doesn’t mean we’re old-fashioned! Throughout the years we’ve kept abreast of new technologies, repair methods, customer service standards, and manufacturers. We bring only the best to residents of Western Washington and look forward to working with new clients as well as ones that have relied on us for years. 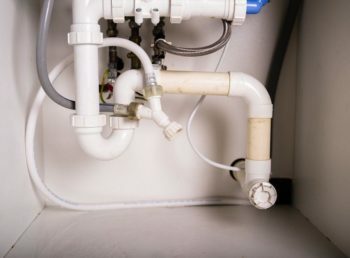 John’s Plumbing provides Lacey customers with a comprehensive list of services, from water heater replacements to septic and sewer repairs, and leak detection to hydro jetting. We are a full-service plumber that brings years of experience to our work and a ensures that we treat your home or business as respectfully as our own. Our work includes both residential and commercial services. So call us for projects of any scope, including home remodeling projects, septic work, home additions, repairs or new construction – we do it all, and we do it well.